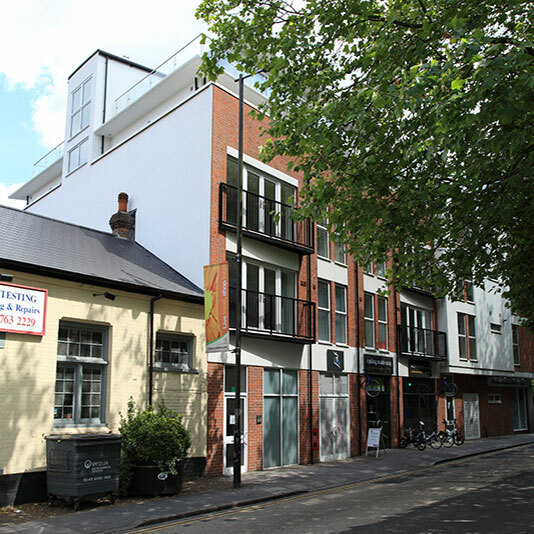 A five storey contemporary new build with 2000 sq ft of commercial space on the ground floor and a mixture of eight 1 bedroom apartments and two 2 bedroom apartments with a 2 bedroom penthouse. 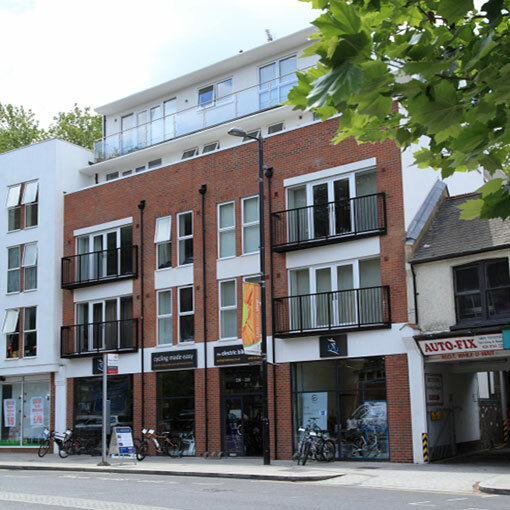 Apartments feature 'wrap around' balconies. 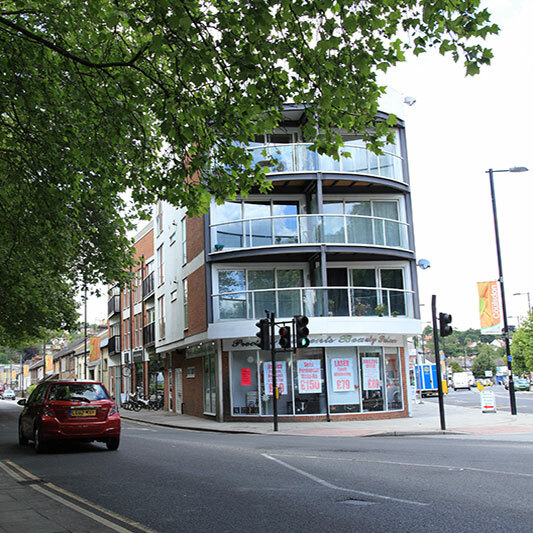 The development is located within walking distance of Coulsdon's mainline railway station and is in a prime position on the A23. Eco features include a sedum roof that reduces water run-off and promotes wildlife as well as PV solar panels and a communal air source heat pump giving a low annual service charge. 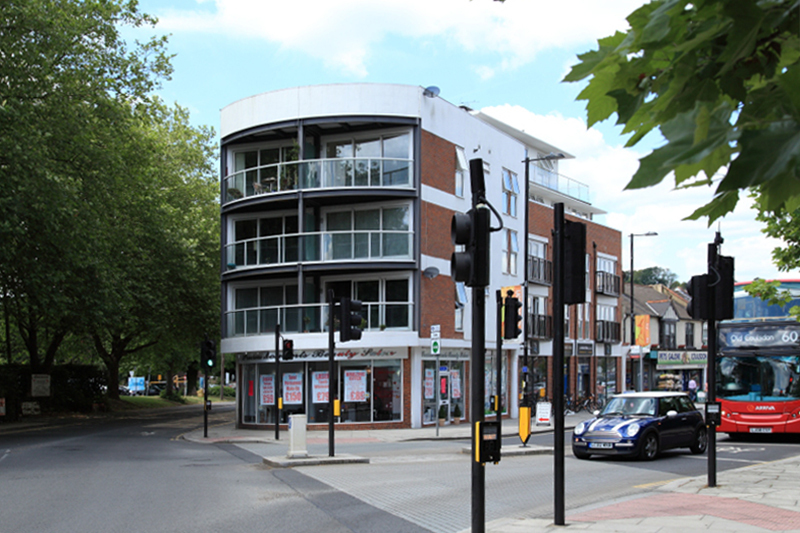 Visit our gallery page to see more photographs of these apartments in Coulsdon, Surrey.